Using complementary colors like blue and orange adds instant impact to an image—but it takes more than that to really stand out. 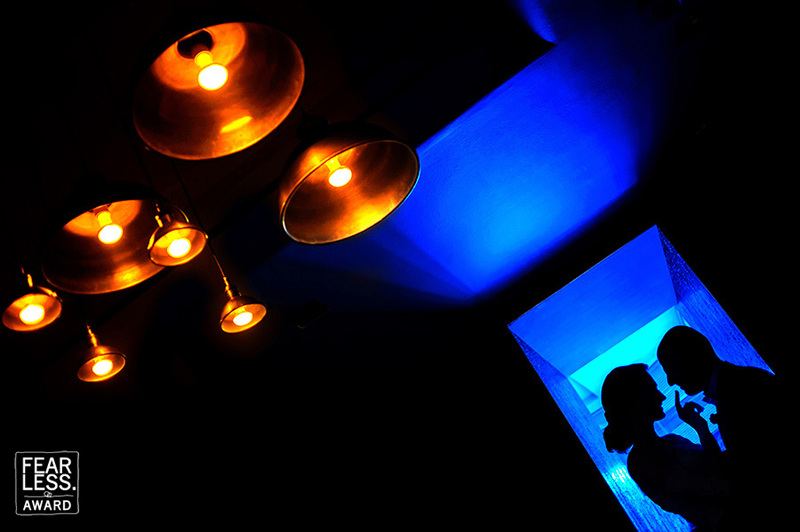 Here, the photographer used excellent lighting and composition to elevate and modernize the classic wedding silhouette. Our eyes happily dance back-and-forth from the soft orange lights in the foreground, through the blue leading lines of the ceiling and door, to the playful pose of the couple in the background.